There’s a reason the American Bar’s annual menu launch is so hotly anticipated. Aside from the fact that the talented team can always be relied on to produce an array of truly spectacular cocktails, the concept behind the menu is guaranteed to be even more innovative and stand-out brilliant than the last. 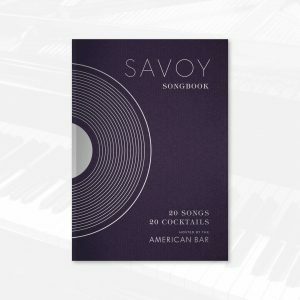 Yesterday saw the launch of The Savoy Songbook Hosted by The American Bar; ‘It’s not just a menu’, explains server, Ciprian Zsraga, ‘but the first songbook by the American Bar with 20 cocktails inspired by 20 songs… and the chance to download our album on Spotify!’. The ever-creative geniuses that make up the team at the American Bar, led by Declan McGurk who was recently recognised as Bar Manager of the Year at the Class Bar Awards 2019, and head bartender Maxim Schulte, have been working tirelessly over the past few months to come up with a concept that pays tribute to the legendary musicians and songwriters that have entertained guests in the bar for decades. The biggest tribute goes to current resident piano player, Jon Nickoll, who first began delighting guests of the American Bar with his unique blend of jazz, rock n’ roll and pop back in 2004; Jon was the youngest ever pianist/singer at the hotel and, 15 years later, still performs in the bar three to four times a week. 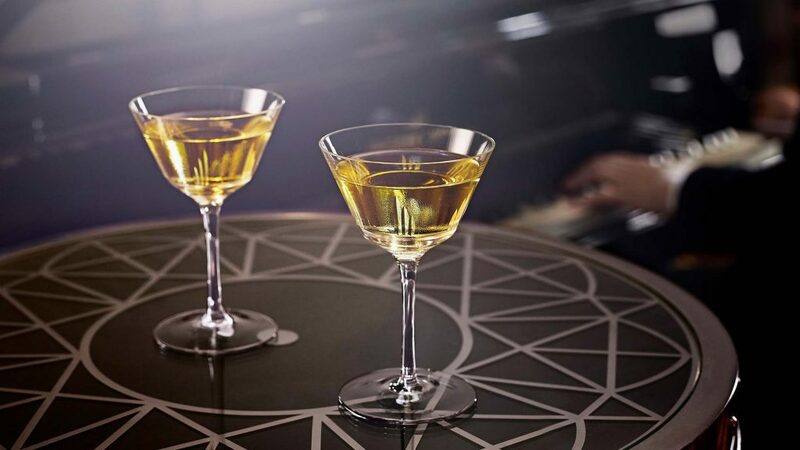 In celebration of his crystal anniversary at The American Bar, the team have dedicated one of the cocktails on the menu, Crystal Star, to Jon, and its accompanying song is an original written by Jon himself about… you guessed it, the American Bar. Jon’s also behind the live album that’s been recorded and is available to download on Spotify as part of The Savoy’s new label, 1889 Records. The cocktails themselves feature such imaginative flavour combinations as to intrigue amateur imbibers and knock the socks off cocktail connoisseurs. Take the Go Go Go, which celebrates the music of Amy Winehouse, a fruity mix of Patrón Silver Tequila, avocado (yes it works), kumquat, mango and passion fruit cordial and IPA Beer, served up with a cream cheese filled chilli as garnish. And the deliciously complex Breathless Charm, accompanied by jazz standard, ‘The Way You Look Tonight’, which perfectly blends Michter’s Bourbon, Muyu Vertiver Gris liqueur, H. Theaoria Hystérie liqueur, argan tincture, orange blossom, oppopanax honey, soda. There might be some frantic googling of ingredients if it weren’t for the enthusing servers who are always on hand to guide a guest to their perfect drink. 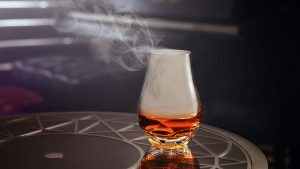 And after all, it’s these kinds of entirely unique creations that put the American Bar team members at the top of their game, and earn them the right to be considered masters of their craft. It’s also the reason a visit to this world-renowned watering hole is a true experience and not just a drink in a bar. Hats off to you American Bar team, you’ve gone and done it again. I’ll drink to that, and to the sure-fire success of The American Bar Songbook.